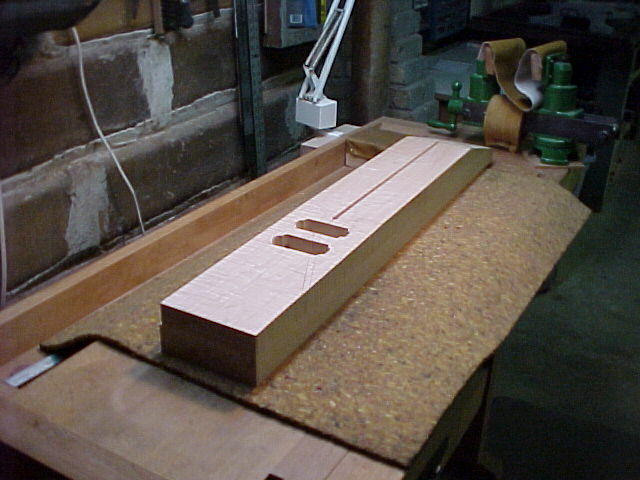 Padauk - This looked like interesting wood, so I thought I'd give it a try. 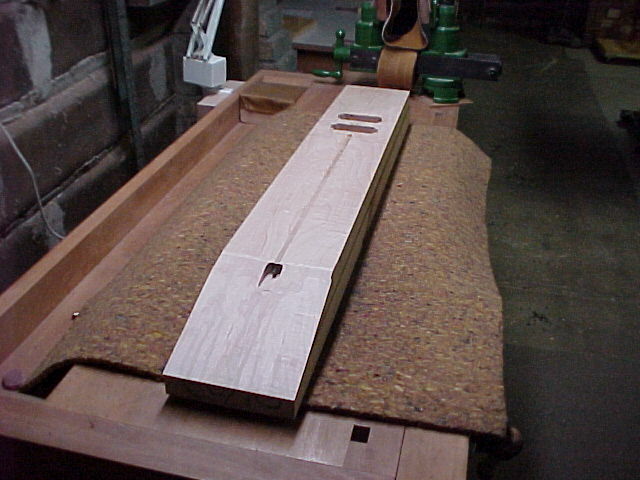 Photo journal of my Double-Cutaway Project. 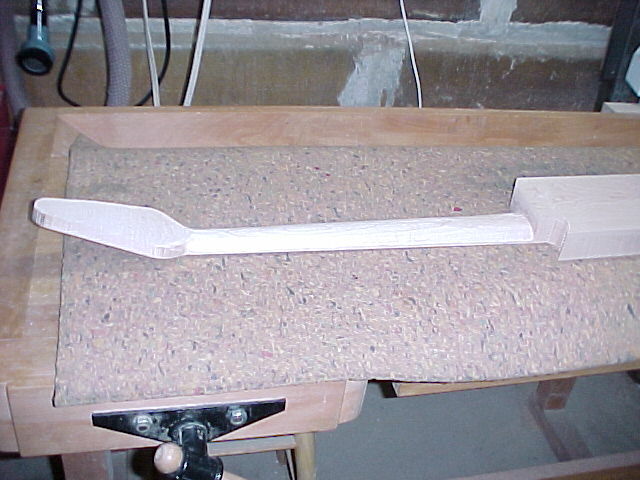 Guitar cut to rough length and truss rod hole drilled. 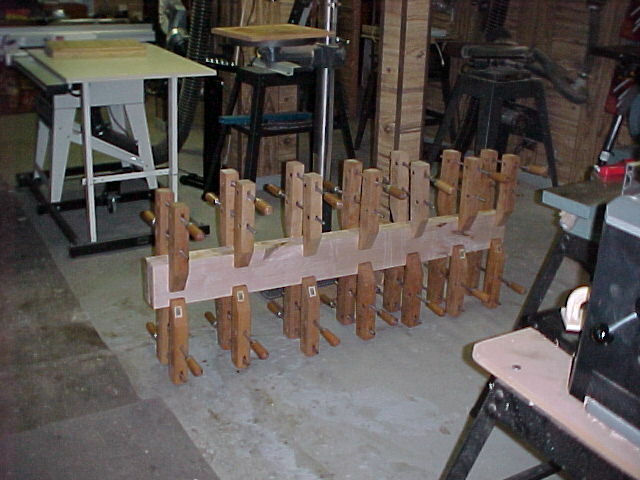 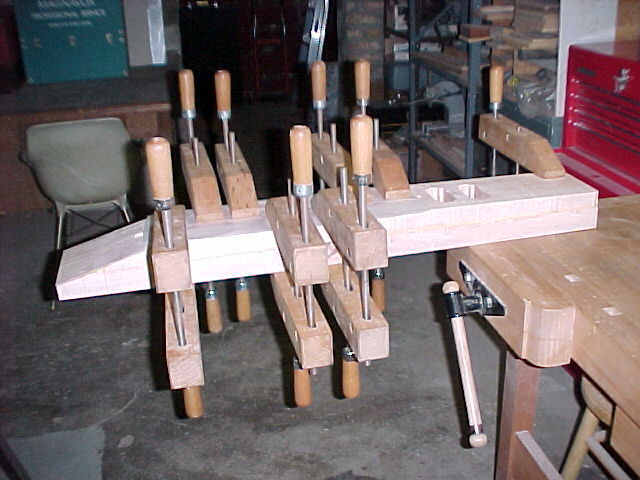 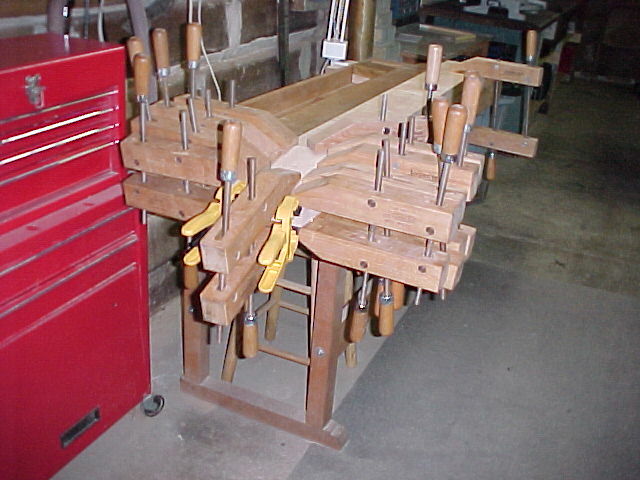 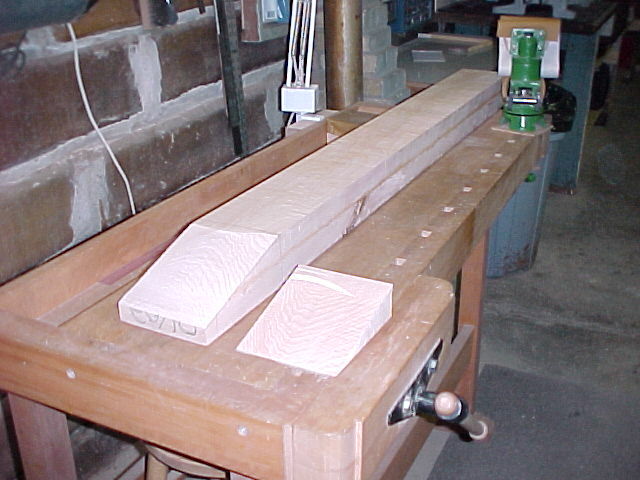 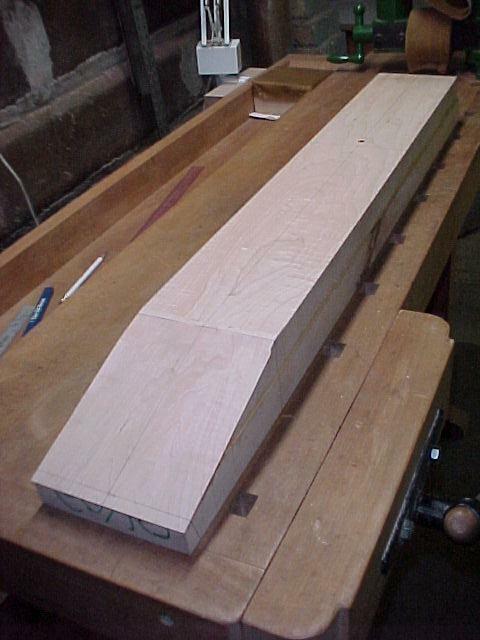 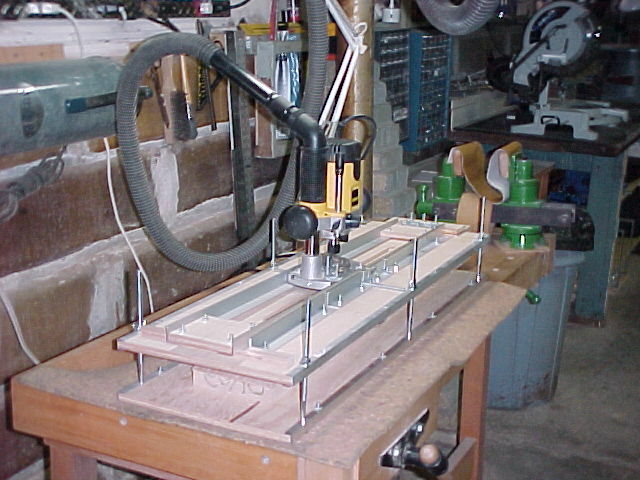 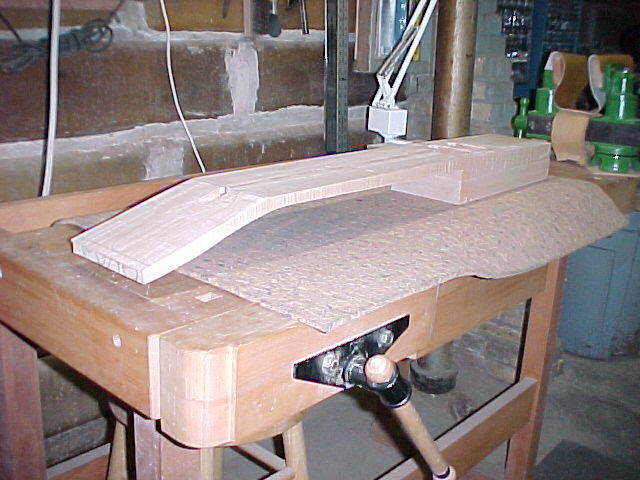 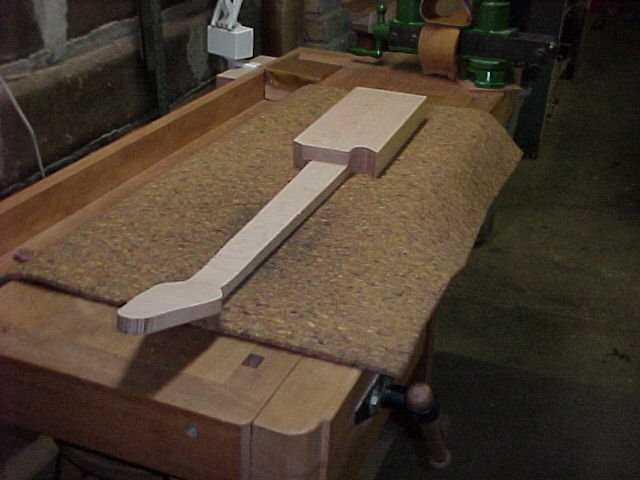 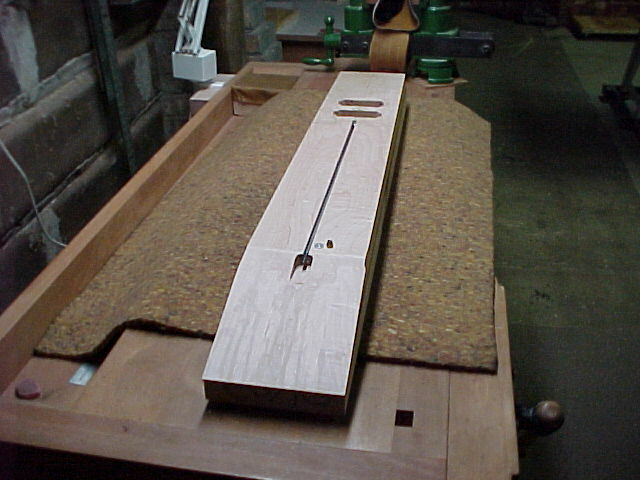 Routing slot for truss rod. 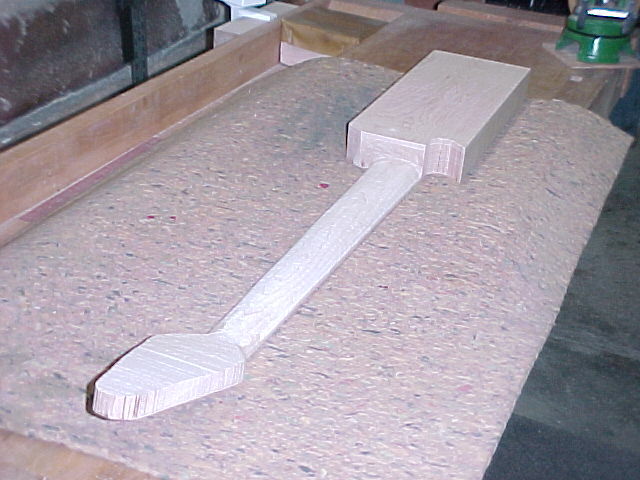 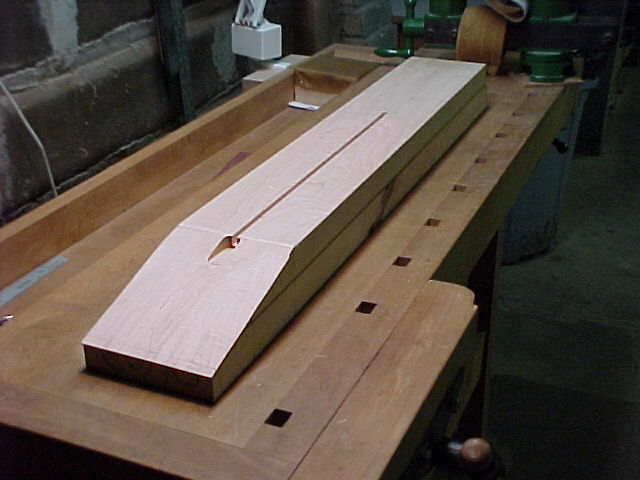 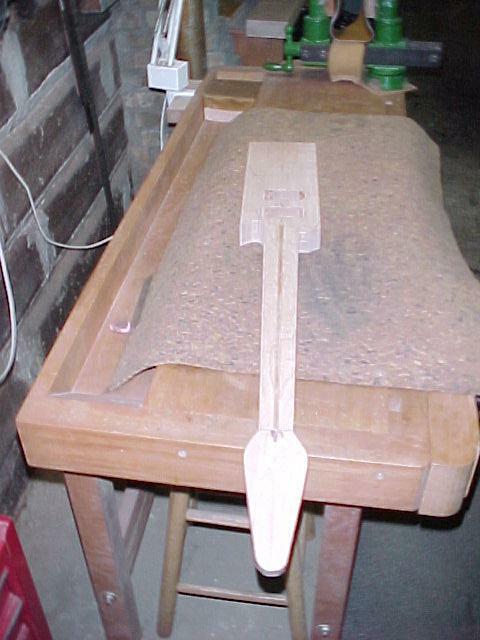 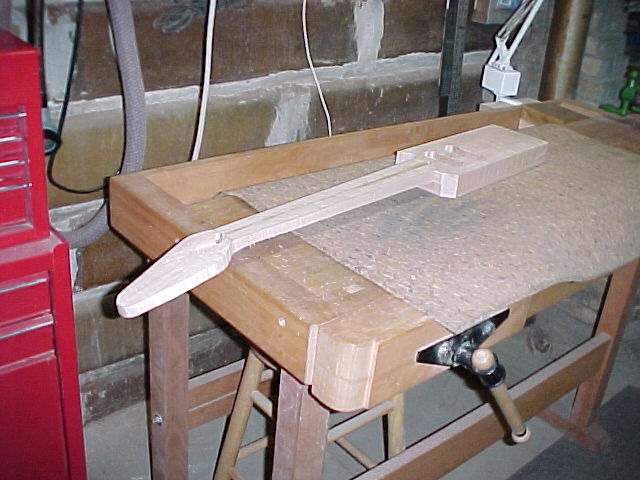 Truss rod slot with adjustment cavity. 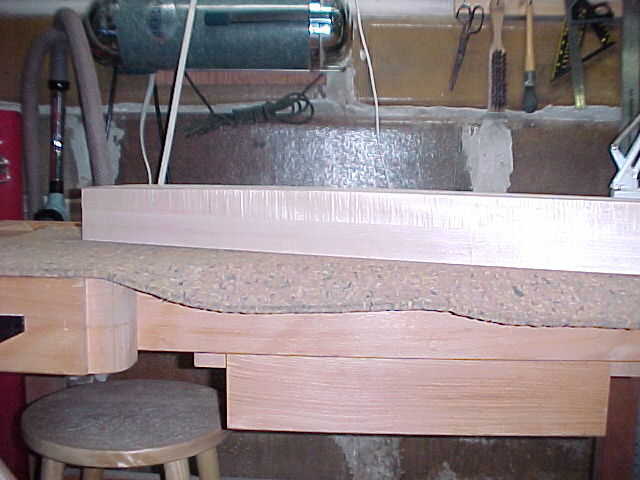 Top of body cut to angle. 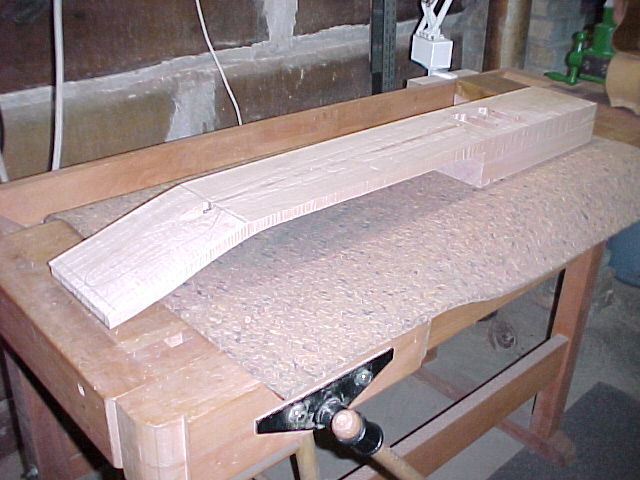 Rought cut of neck bottom. 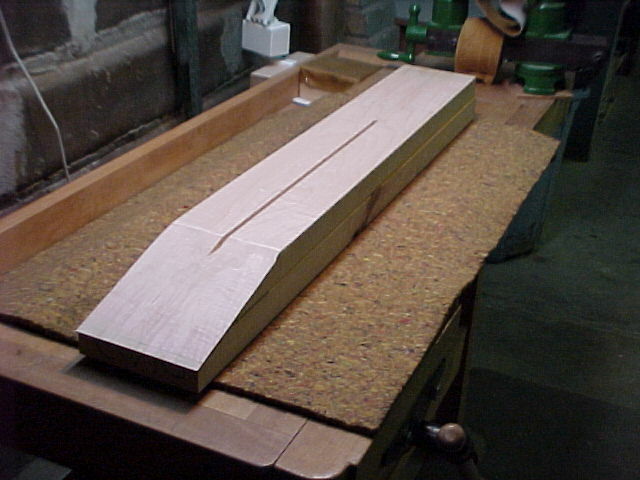 Rought cut of neck sides.